Michael Cohen was paid at least $400,000 on behalf of Ukrainian president Petro Poroshenko to arrange talks last year with President Trump, BBC reports. 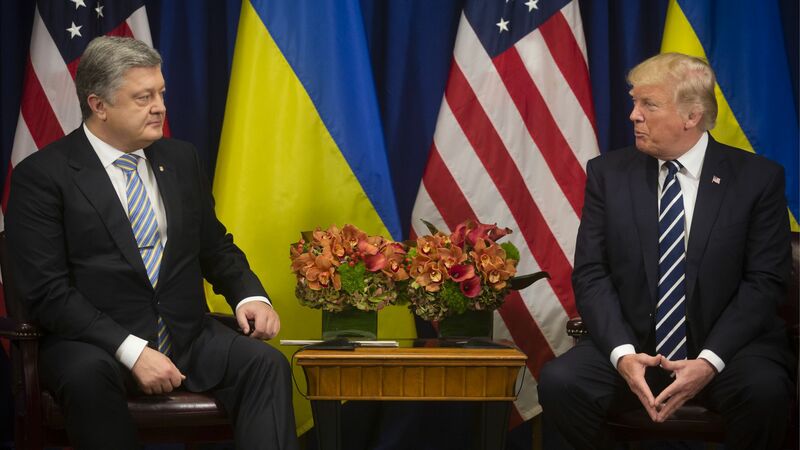 The details: The meeting between Poroshenko and Trump took place in the middle of Trump's first year as president. Cohen was tasked with ensuring it was more than a brief photo-op, and wasn't legally registered as a representative of Ukraine, per the report. He and the the two Ukrainians reportedly responsible for opening the backchannel denied the report. Cohen was also paid millions by corporate America for White House insights. Go deeper: Michael Cohen goes through the wringer for Trump.